These resources are available to assist with Simulation Faculty Development and education. The individual modules can be used on their own to increase knowledge for instance as CPD of those with simulation based learning roles or as pre-learning before face to face sessions. Additionally the e-learning modules can be used together as pre-learning for an introductory level faculty educational focussed session. In addition to the 5 modules within the programme, a face to face session is delivered to develop skills however the modules may be used to support other relevant sessions. This is an introduction to simulation based learning either to be used as a standalone session or pre-learning. This covers key educational theory and practice related to simulation based education. This focuses on facilitation of the simulation. This module contains information on debriefing the simulation based learning event. This is an introduction to Human Factors and e-learning. It covers clinical error cognition and human behaviour. The aim of this module is as pre-reading prior to face to face simulation sessions; it has also been used for induction training. The module is multi-professional in its focus. The following film was developed to provide a brief introduction to principles of human factors and implementation in healthcare. It is designed to help those working in healthcare understand the basic principles of human factors and implement changes to improve patient safety. Dr Rob Galloway is a Consultant in Emergency Medicine at Brighton and Sussex University Hospital NHS Trust and offers extensive training at the Trust in human factors. Dr Cassie Lawn is a Consultant Neonatologist at Brighton & Sussex University Hospital NHS Trust Trust and is lead for human factors at the Trust. Please complete this short survey to provide feedback about this film. If you already have an account with e-LfH, then you can enrol on to the Simulation Faculty Development programme by logging in to the e-LfH Hub, selecting My Account > Enrolment and selecting the programme. You can then access the programme immediately in the My e-Learning section. 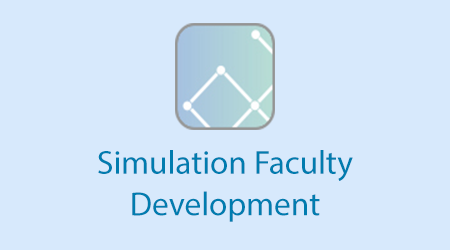 The Simulation Faculty Development programme is also available to NHS healthcare staff via the Electronic Staff Record (ESR). Accessing this e-Learning via ESR means that your completions will transfer with you throughout your NHS career.